Yanis Varoufakis, a famous economist from University of Athens known for his analyses of Greece’s debt issue and the euro crisis, once mentioned that “Economic theory has come to a dead end – the last real breakthrough were in the 1960s.” Mr.Varoufakis named governments’s fear of economic experiments in the national scale (who can blame them?) and difficulty of conducting these tests as primary culprits. Yanis was later hired by Valve to consult Steam’s cross-gaming virtual market. (Steam allows you to trade vanity virtual goods between different games). Yanis doesn’t play games, but he is a quant nerd, and he believes that gaming is a great sandbox to test economic theories. While I agree that games can provide good real world simulation, you have to treat each games as their own unique environment, failure to realize this, and anything you learn from the simulation will be a waste in the real world. Held online via desktop videoconferencing. 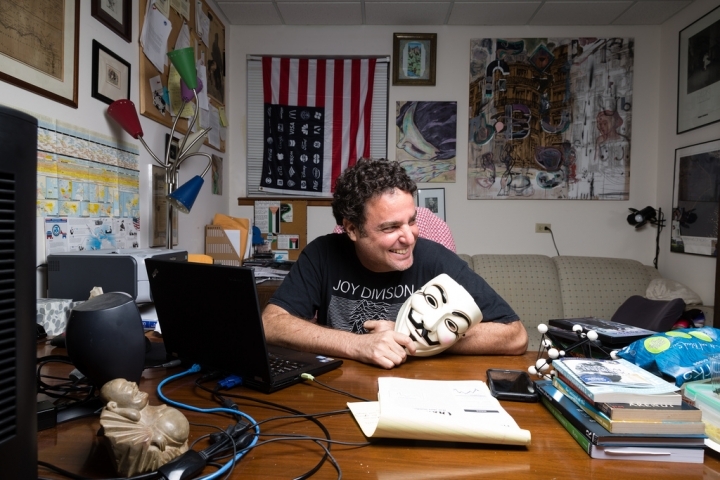 Ten years ago, Beni Balak, associate professor of economics at Rollins College, began using computer games in his classes. As a long-time computer gamer turned professor, he had observed that many of the best practices in pedagogical research were adopted by the electronic game industry. Today, the electronic game industry leads the entertainment sector economy with $70+ billion in annual sales, influencing the economy, culture, and learning. While some teachers remain skeptical about the value of video and computer games in education, over the past decade, a body of theoretical and applied pedagogical work on the use of games as teaching tools has emerged. Gamification in higher education generally refers to video and computer games and involves two related, but distinct approaches: using games as teaching tools and structuring entire courses as games. In this seminar, Balak will identify the principles he employed and the specific structures of the courses he has gamified both using games (i.e., Civilization and World of Warcraft) as well as, more recently, gamifying the curriculum. Beyond the fundamental changes he made to the syllabi and the grading structure, he is beta-testing a learning management system (LMS) specifically designed for this purpose. Join us for this seminar and learn about his progress developing a gamified course structure, how it engages students and accelerates learning, as well as the difficulties he has encountered as he continues to explore the potential of games in the liberal arts. Please review and explore these resources to prepare for active engagement with your fellow seminar participants. DML Research Hub (2014, January 4). Games and education scholar James Paul Gee on video games, learning, and literacy. Edutopia (2012, March 21). James Paul Gee on learning with video games. Big Think (2013, August 8). How World of Warcraft could save your business and the economy. Alexander, B. (2010, October 6). Teaching with a video game: the case for Civilization. Gee, J. P. (2013). The anti-education era: Creating smarter students through digital learning. New York, NY: Palgrave MacMillian. Gee, J. P. (2007). What video games have to teach us about learning and literacy. New York, NY: Palgrave MacMillian. Sheldon, L. (2012). The multiplayer classroom: Designing coursework as a game. Boston, MA: Centage Learning. Marczewski, A. (2013). Gamification: A simple introduction & a bit more. Benjamin Balak is associate professor of economics at Rollins College in Winter Park, Florida. He specializes in the history, methodology, and rhetoric of economics, and in comparative economic systems and cultures. He has presented in numerous conferences, published several journal articles and book chapters, written a book on the rhetoric of economics, and taught a wide variety of interdisciplinary and economics courses. His recent work is increasingly focused on the teaching of economics which he regards as highly problematic and adversely affecting the current economic conversation: Real-world economic literacy is singularly important for having functioning democracies at a time of epochal economic change. He has spent more than nine years experimenting with technologically-enhanced pedagogy to breathe life into the teaching of economics and to place it in historical perspective. A self-identified computer geek and gamer since the late 70s, he has been using computer games to teach economics and is researching the topic with the help of students. He earned his B.A. in international economics from the American University of Paris (France), continued his graduate work at the University of Kent at Canterbury (UK) and earned a Ph.D. in economics from University of North Carolina at Chapel Hill. Participants are encouraged to share their thoughts on Twitter via this event’s hashtag: #nitle. Those interested in technologically-enhanced pedagogy, curricular design, and digital games and culture should attend this seminar. Attendance by institutional teams is encouraged; individuals are also welcome to participate. Please register online by Monday, April 7, 2014. Participation in NITLE Shared Academics is open to all active member institutions of the NITLE Network as a benefit of membership and as space allows. No additional registration fee applies. For more information about this event, please contact Georgianne Hewett at ghewett@nitle.org. NITLE Shared AcademicsTM models a new approach to liberal education – made possible through strategic collaboration, driven by shared knowledge, and supported by emerging technologies. Campuses learn how inter-institutional academic exchange works by actively participating in it, building the knowledge and experience to re-architect liberal education. I’ve been using games to teach for over 8 years now mostly Civilization in my Economics in Historical Perspective but a little bit of WoW in my Freshmen Seminar (pompously titled Deus Ex Machina: Social Evolution in Virtual Worlds). I’ve been working in quasi isolation presenting papers to economists with little or no experience in gaming and/or teaching with them. I finally discovered 3DGameLab and used their tools to fully gamify my Economics, Media, and Propaganda this summer and am hard at work to gamify my other courses including a new freshmen seminar on WoW next week! We have discussed education on Punkonomics in the past both in posts as well as on the radio-show / podcast. I should invite some of these 3DGameLab and Cognitive Dissonance people as guests because unlike the overwhelming hype we hear about technology in education, THIS is where it’s really at! This is a great passion of mine on which I have worked very hard over the years in relative isolation. It’s great that people are finally catching on but there is a tremendous amount of BS and fraud in this also. Most notably MOOCs (but more on that another time). How to ‘Gamify’ Your Class Website – ProfHacker – The Chronicle of Higher Education.